FROM 2009 TO 2015- OVER 50+ DIRECT TORNADIC INTERCEPTS YIELDING DATA SUPPORTING PROPERTIES PRESENT IN TORNADOES. SCIENTIFIC RESEARCH- AS WE MOVE TOWARDS A "TESTING" MODEL FOR COLLECTED DATA, WE WILL MAINTAIN A "SELECT" PRESENCE NEXT SEASON. Our programs focus on severe weather events that occur in the Northern Hemisphere. SWS observes and searches out severe weather behavior in all categories. Analysis solution strategies focus on this priority for results. SMS-TEXT - EARLY WARNING ALERTS - As we continue tornado patterns, research, and observations of major severe events that may occur. SWS can notify you of a possible severe weather event in your area by live alerts on this site and other SWS solutions.. THE HURRICANE WEATHER SEASON STARTS JUNE 1ST.. ENDING NOV 30TH. SEVERE WEATHER WILL CONTINUE AS GULF OF MEXICO STAYS IN WARM WEATHER PATTERN. * AS THE SWS TEAM REALIZES THE SUCCESS OF WHAT WE ACCOMPLISHED IN 2013 - 2015. THE REAL WORK CONTINUES. * THE TEAM FROM 2009 TO 2015 COMPLETED MULTIPLE TORNADIC STORM INTERCEPTS. WE CONTINUE THE PROCESS OF A "BENCH TEST" AS OUR NEXT PHASE. BE SURE TO TUNE IN ON OUR TWITTER, FACEBOOK PAGES FOR UPDATES AND OTHER NOTABLES BY THE SWS TEAM. WEATHER BRIEFING - SPRING PATTERN IS HERE. POWERFUL STORMS AND OUTBREAKS OF TORNADOES CONTINUE IN SOUTHEAST.. SEE SEVERE WEATHER ALERTS PAGE, LIVE UPDATES, SPC AND CURRENT FORCASTING. SEVERE WX TRENDS "MODERATE" - TORNADO ALLEY WILL BE A FOCUS AS SPRINGTIME PATTERN TAKE HOLD. * TORNADOES, DODGE CITY KS - A SUPERCELL GOES EXTREME !! TORNADO SEASON 2019S- The new updates. Emergency Response Plans, Research Projects for the SevereWX/Tornado Season will continue into 2019. The time is now to line up preparations for any arriving severe weather. FOR 2018, WE HAD A LIMITED ATTENDANCE OF SEVERE WEATHER EVENTS. MOST OF THE ENCOUNTERS WERE QLCS EMBEDDED SUPERCELL STRUCTURES. 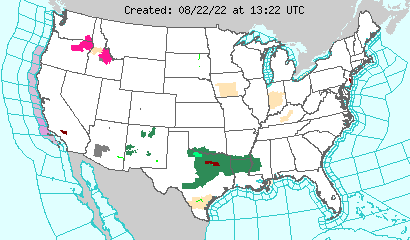 THE MOST NOTABLE WAS THE TESCOTT KS EF-3 WEDGE TORNADO TRACKING IN OPEN LAND. CLICK ON THE IMAGE TO RIGHT TO MONITOR THE SPC'S LATEST SEVERE WEATHER OUTLOOK. SWS WAS "ON THE SCENE" FOR MULTIPLE SEVERE WEATHER EVENTS WITH TEAM PARTICIPANTS SINCE 2005. SEE SWS NEWS UPDATES. 2019 SPRING PATTERN IN PROGRESS. TRENDS GO TOWARDS SPRING SEVERE WEATHER.. AS COLD FRONT LOW PRESSURE STORMS ADVANCE FROM WEST, MIX WITH GULF OF MEXICO WARM FRONTS, SEVERE WEATHER WILL BE POSSIBLE. STAY TUNED TO THIS SITE FOR REALTIME "LIVE" OVERVIEWS AND RESEARCH DATA SWS HAS GATHERED FROM ATTENDANCE IN SEVERE STORM INTERCEPTS. SEVEREWARNINGSYSTEMS.COM - SCIENTIFIC RESEARCH "AT WORK" OF SEVERE WEATHER BEHAVIOR. SEVERE WEATHER PREDICTIONS BY "SWS" IS BASED ON MODEL REVIEW AND AN EXPERIENCE OF "SWS" FORECASTING OF SEVERE WEATHER EVENTS. THESE PREDICTIONS ALTHOUGH RELIABLE... ARE NOT GUARANTEED DUE TO THE NATURE OF WEATHER PATTERN CHANGES. © 2005-2019 SevereWarningSystems.com. All Rights Reserved.